"We thought we were helping. It didn't work out that way." As American Sniper sweeps up the January box office competition (or lack thereof), another gunman is poised to hit the big screen this March with Sean Penn in The Gunman. Director Pierre Morel (Taken) is at the helm of the new thriller, and an international trailer has just surfaced to show off some more of the story follow Martin Terrier (Penn), a former Special Forces soldier and military contractor who works peacefully for a non-government group in the Congo. But suddenly, he's being hunted down by his own people as his violent past catches up with him. 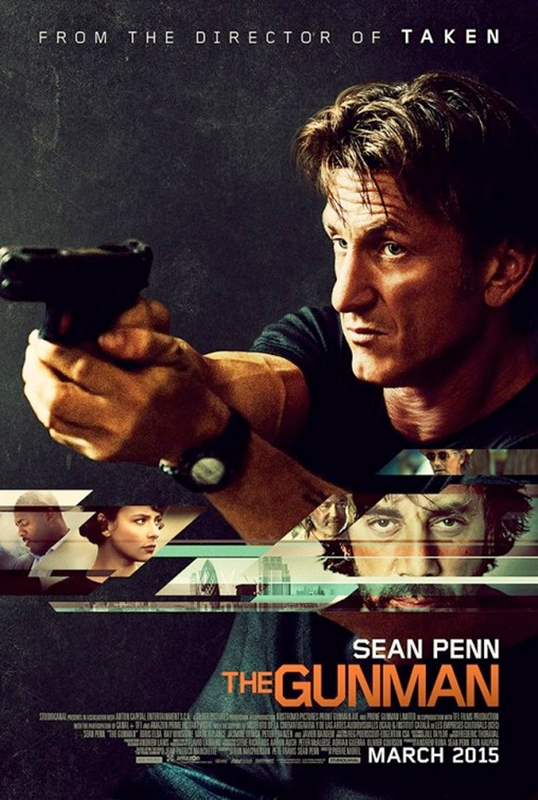 You can still watch the first US trailer for The Gunman right here. The Gunman is directed by Pierre Morel (Taken, From Paris with Love, District B13) and written by Don MacPherson (of 1998's spy adventure The Avengers), based on Jean-Patrick Manchette's The Prone Gunman novel. Sean Penn stars in the film as Martin Terrier, a former Special Forces soldier and military contractor who works peacefully for a non-government organization in the Congo. But Terrier gets drawn back into his violent past. The cast includes Javier Bardem, Idris Elba, Ray Winstone and British stage actor Mark Rylance, and Open Road Films is set to release the film in theaters next spring March 20th, 2015.